This beautiful Ribbon Unicorn from Ganz is an adorable white plush toy with pink accents. It measures approximately 9 inches and features colorful flowing ribbons and a sparkly quilted fabric horn. 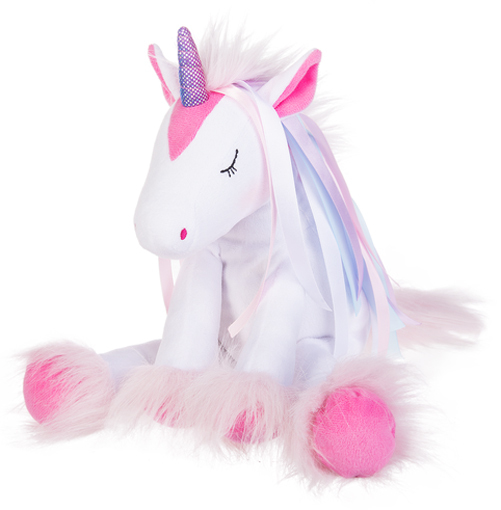 This sweet unicorn is from the Ganz Plush Collection. Suitable for ages 5 and up.